On May 20, Peirce students from the 2011 graduating class, along with members of the faculty and administration, joined Mayor Michael Nutter, U.S. Congressman Chaka Fattah, Philadelphia Museum of Art Board Chair Connie Williams, and other students and educators from across the region at a citywide graduation celebration. 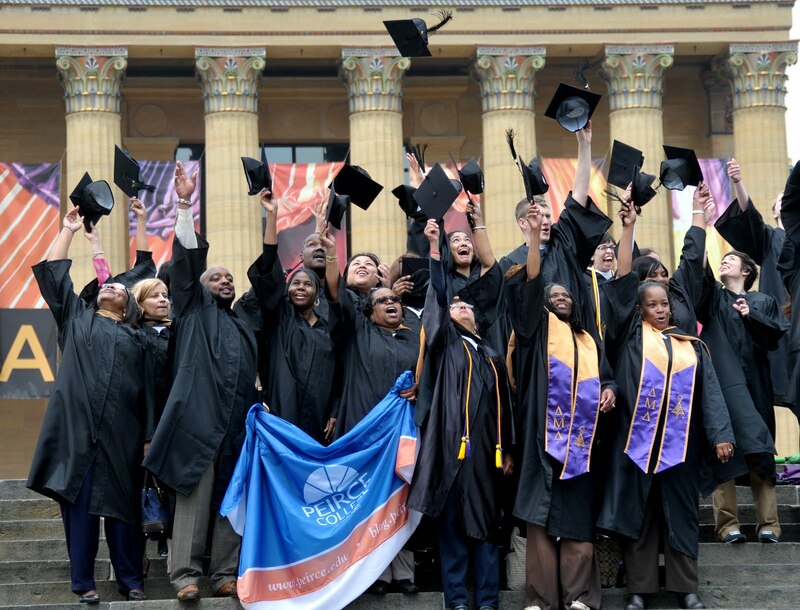 The event honored Philadelphians who have earned their college degree and celebrated the city’s focus on education and degree attainment. Among attendees representing Peirce College was the mother-son duo, Clarice James and Keith Carney, who will be graduating from Peirce together on June 13. Peirce Idol voting extended to Friday, May 20!